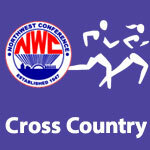 Cross Country Boys – NWC-Sports.com | The Official Site of the Northwest Conference for nwc news, nwc scores and more. 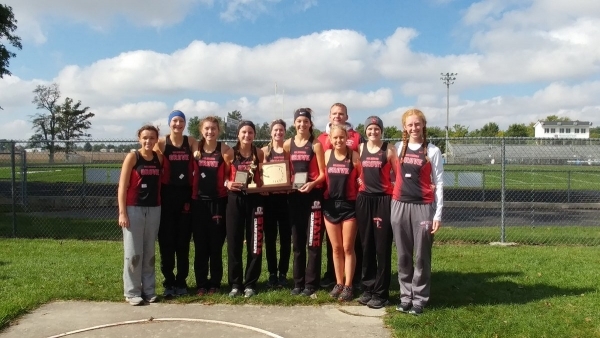 Columbus Grove won both the boys’ and girls’ titles in the Northwest Conference cross country meet run Saturday morning in Spencerville. The boys’ race featured a tight battle with Columbus Grove (30) edging out runner-up Lincolnview (33) by 3 points. 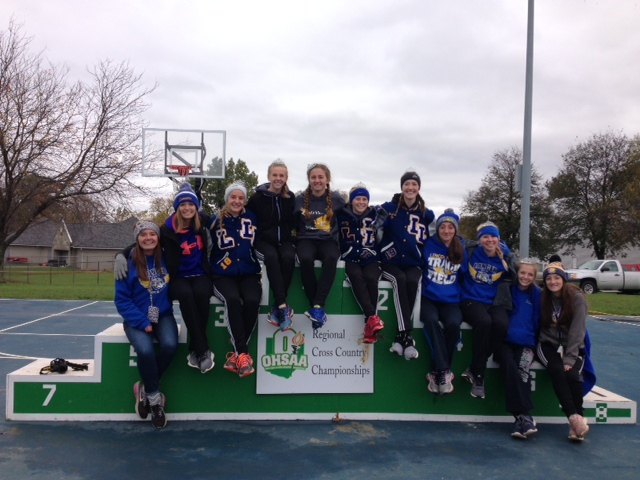 Lincolnview girls also finshed second while Crestview took third place in both races. Junior High races were won by Lincolnview (boys) and Columbus Grove (girls). 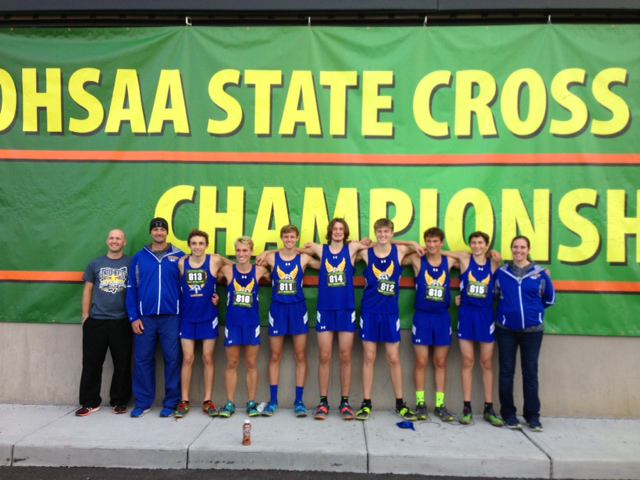 Lincolnview’s Alek Bowersock ran the best individual time of 16:53.8 in winning the boys’ race and was voted by the coaches as NWC Male Runner of the Year. Johnny Schmiedebusch (CG, 16:59.0) finished second with Karter Tow (LV, 17:15.6) completing the race as the third place finisher. Columbus Grove’s Alyssa Ellerbrock (19:41.2) defeated runner-up Madison Langdon (20:12.3) of Crestview in the girls’ race and was voted NWC Female Runner of the Year. Crestview’s Ragen Harting (20:27.4) finished out the top three. Columbus Grove’s Terry Schnipke was voted by the coaches as the Boys’ Coach of the Year with the honors for Girls’ Coach of the Year going to Grove’s Jason Jay. 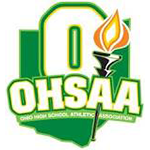 Columbus Grove & Lincolnview are ranked in the 5th Weekly OATCCC State Coaches Cross Country Poll. Columbus Grove is ranked 7th and Lincolnview is ranked 14th in Division III in the 5th weekly OATCCC State Coaches Boys Cross Country Poll. 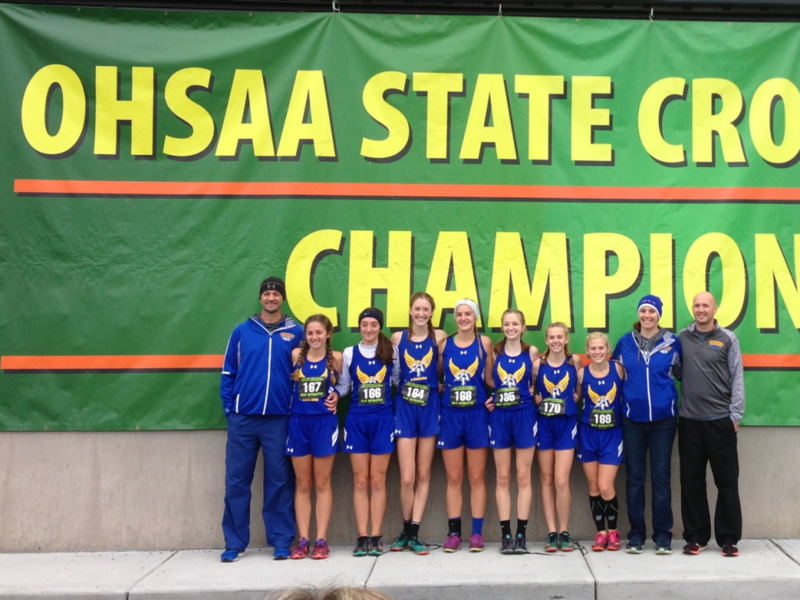 Columbus Grove is ranked 7th and Lincolnview is ranked 17th in Division III in the 5th weekly OATCCC State Coaches Girls Cross Country Poll. 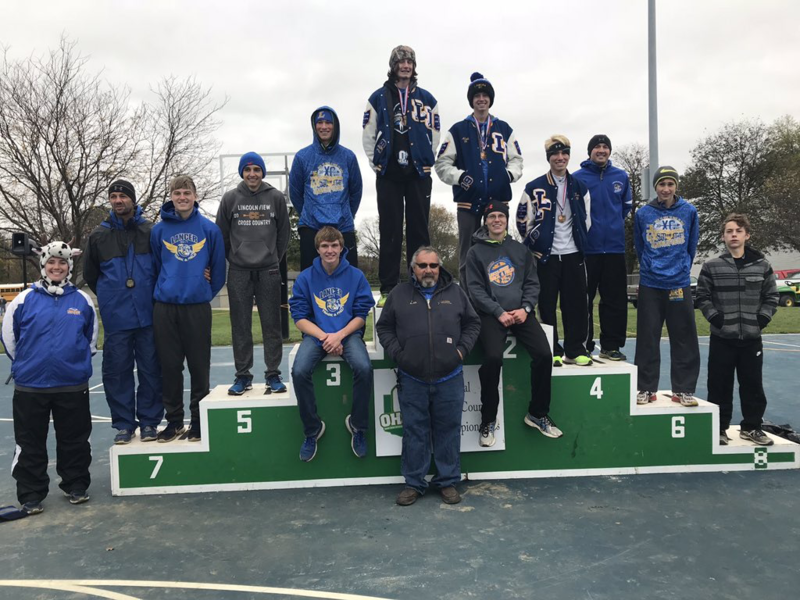 Silver: Tyler Shrider, Dylan Nagel, Darius Shurelds, Brady Welker, Doug Long Jr.
Lincolnview won the boys’ championship and Columbus Grove won the girls’ title in the Northwest Conference cross country meet run Saturday morning in Van Wert. Columbus Grove (boys) and Lincolnview (girls) finished second. Crestview took third place in both races. Junior High races were won by Lincolnview (boys) and Crestview (girls). Lincolnview’s Karter Tow ran the best individual time of 16:44 in winning the boys’ race and was voted by the coaches as NWC Male Runner of the Year. Johnny Schmiedebusch (CG, 17:03) finished second with Alek Bowersock (LV, 17:12) completing the race as the third place finisher. Columbus Grove’s Alyssa Ellerbrock (19:45) defeated runner-up Ragen Harting (20:04) of Crestview in the girls’ race and was voted NWC Female Runner of the Year. Crestview’s Ashley Bowen (20:13) finished out the top three. Lincolnview’s Matt Langdon was voted by the coaches as the Boys’ Coach of the Year with the honors for Girls’ Coach of the Year going to Grove’s Jason Jay.